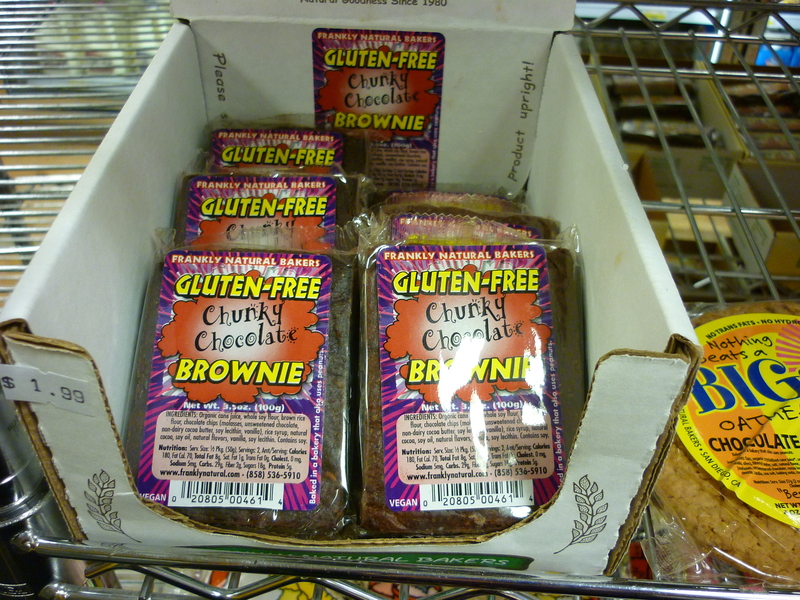 columbia heights | Gluten Free? Gimme Three! I’m already a fan of the Yes! Organic Market by my apartment in Cleveland Park. It’s small, but has reasonable prices and is great for picking up things that I can’t get at Whole Foods (things that will melt or are too heavy to carry). After all the hype about the hurricane, and a long lazy Saturday, I needed to get out of my apartment in a bad way. So I ran. Then I went to yoga. Then I walked about six miles. So when I saw the Yes! Organic Market on 14th Street I figured I would stop in for a potential snack and to see if it was different from the Cleveland Park location. It’s not only different, it’s about 300% better. Give or take. It’s bigger, has a full wine section (with a sample table), and way more produce. 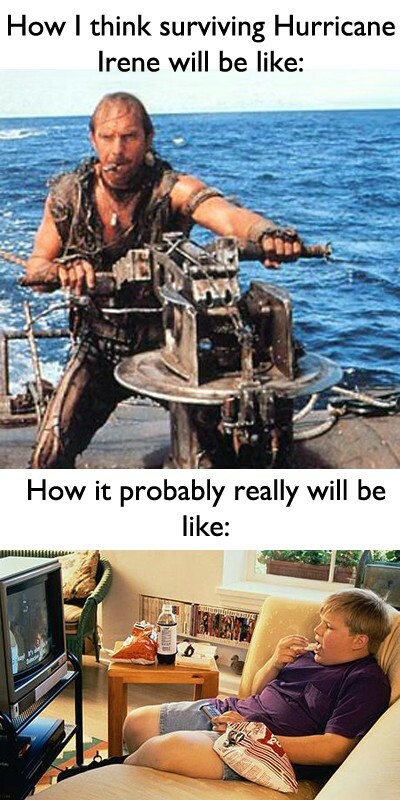 The best part though? The gluten free baked goods. 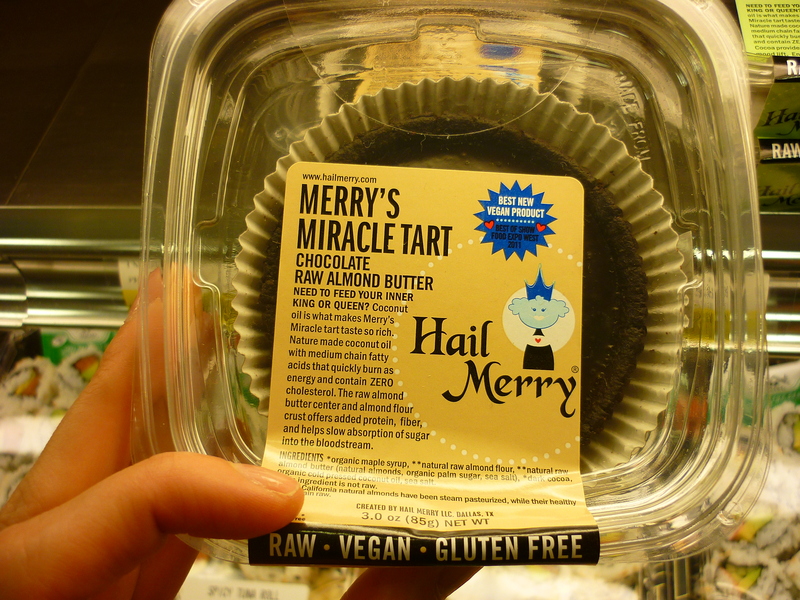 I was particularly intrigued by Merry’s Miracle Tarts (they had chocolate-mint, and a lemon one as well). And these chunky chocolate brownies from Frankly Natural Bakers. 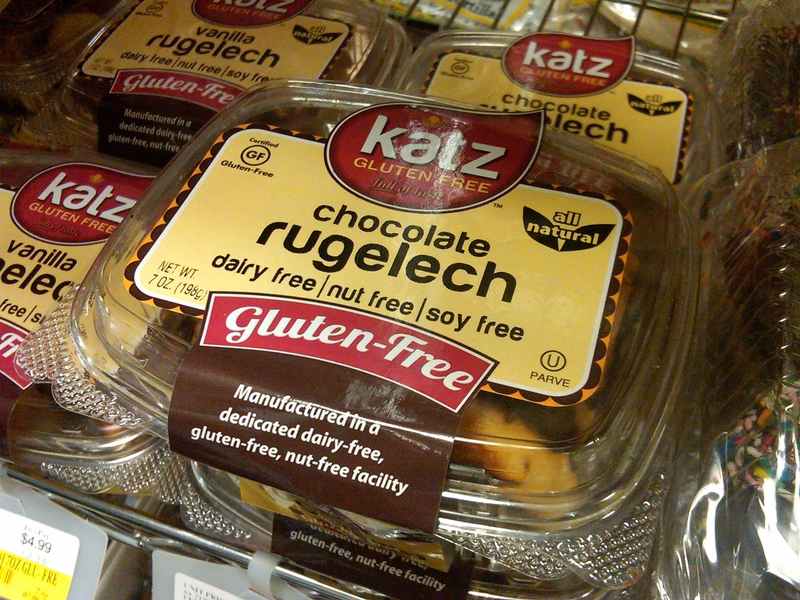 Then I noticed that they had a whole shelf full of Katz’s products, including chocolate cupcakes, cookies, apricot tarts, and these vanilla and chocolate rugelech. 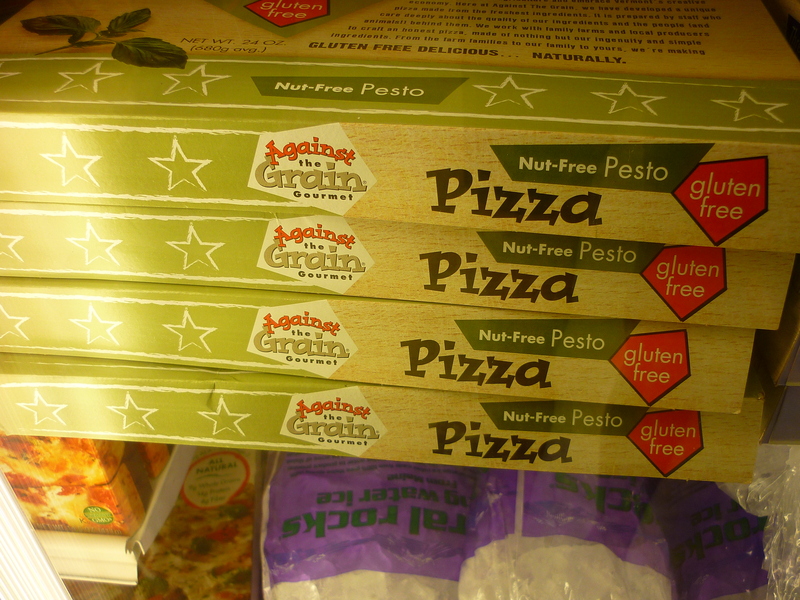 They also had a full freezer section with baguettes, breads, and this Against the Grain Gourmet pizza with nut-free pesto that I haven’t seen before. So what did I buy? Nothing. I panicked from the amount of choices, grabbed some Jojoba oil, and called it a day. I’ll have to go back when I actually need something, because that place has it all. After a less than impressive trip to Sticky Fingers Bakery for a cupcake, I decided to give them another shot this weekend. This time I had a laser focus on getting a chocolate chip cookie. This cookie provided redemption for any wrong that Sticky Fingers could have done in the past. It was more crispy than I usually like my cookies (which is just a bit more baked than straight-up dough), but the flavor was great. Chock-full of brown sugar and so buttery it immediately greased up the brown paper bag (yum?). Plus it reminded me of those giant bakery cookies that are sold at Panera or Starbucks that I usually drool over. 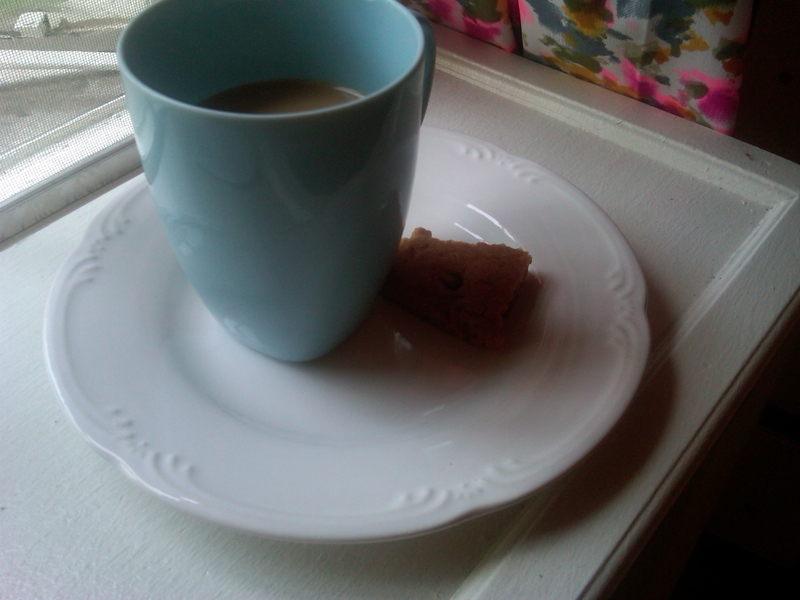 I ate a big chunk off, and saved the rest for when I had coffee in hand later, for the dunkability factor. Now I will give Sticky Fingers my stamp of approval. 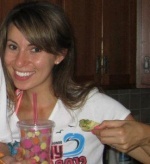 Steer away from the cupcakes, but crash head on into the cookies.